Expect more from your data. Nothing is more important than the security and detailed management of client data. Our team of certified security professionals are experts in storage management, data security and enterprise level data management. 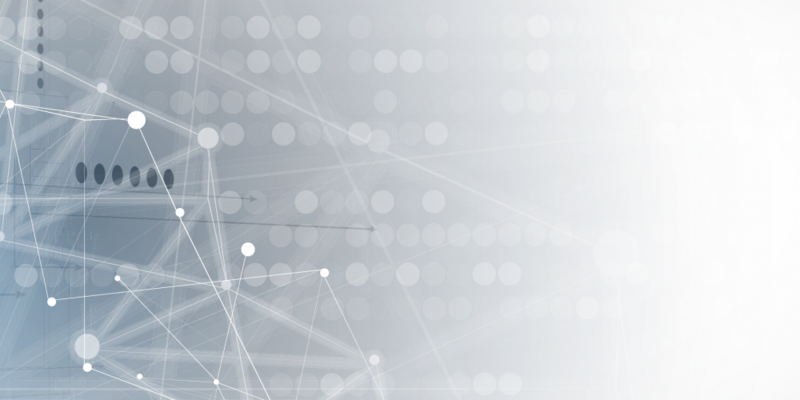 Our high-powered, automated information processing and analytics generation methodology provide a clear path to enhanced insight discovery and enhanced decision making. Unlock valuable intel and harness the full potential of your data. We work together with our clients to generate compelling and profitable business opportunities and customized data processing solutions. RMM Analytics specializes in making data analysis and delivery as easy as possible. No matter what kind of data you have, or how large your datasets are – our scalable processing power will produce measurable results. 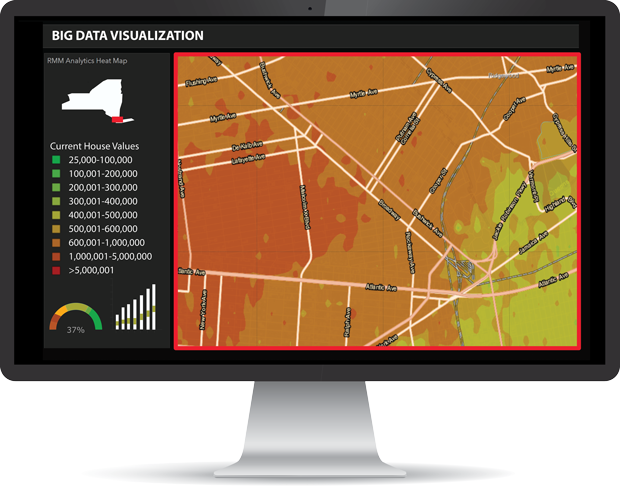 Our heat map visualization products allow you to make faster, more informed business decisions. Visualize changes in demographic, sales and competitor data by location to make informed decisions about market potential, site selection and product distribution. Custom proprietary algorithms and analytics create specialized data visualization results. Only pay for what you need – our processors expand to meet your changing needs. Improve efficiency and reduce costs by defining automated processing routines. Deliver your data in near real-time or customized batch processing scenarios. Deliver trusted information to consumers and executives about anything – from anywhere. Employ the latest innovative technologies to solve your data needs using Esri’s industry leading GIS analytic solutions. Heat maps – Put your data to work! We specialize in creating innovative heat maps that provide the advanced insights you need to aggregate, analyze and isolate important information about your current and prospective clients and their surroundings. Integration of heat map layers into everyday workflows creates a more vibrant and efficient way to assess disparate datasets and realize previously unnoticed relationships and patterns within existing information. In a competitive industry like real estate, innovation in UX and agent analytics are integral in providing top notch customer service. Stay ahead of the competition with innovative data visualization tools. A modern and relevant way to distribute complex data analytics. Our heat map products improve underwriting and risk analysis functions by visualizing customer data across a geographic area, in conjunction with complimentary data layers that help identify risk factors before revenue is lost. Don’t let the details slow you down. We can transform your data into a visual masterpiece. Incorporate and integrate external enrichment datasets for an expanded analysis: weather, census, consumer behavior and non-transactional datasets: home valuation, tax data, school information, crime activity, amenities, and transit data. Many publicly available and licensed datasets can be acquired. Incorporate user-generated content gathered through consumer facing outlets such as social media and other online assets or platforms. Create complex views that give you the power to reach your customers and enhance their user experience with more targeted marketing, improved risk management and new product development. Gain unique insights with data from various systems. Define relationships and uncover patterns between multiple sets of granular data or non-spatial data using the power of GIS and custom analytics.